If you are looking for a peaceful and private location with outstanding views yet close to . . . 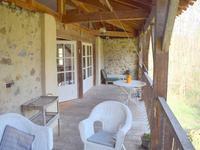 Located in rolling hills near Foix, This Beautifully refurbished stone villa on estate of 9.5 . . . Ideally situated for a excellent business project. Wonderful character property with old . . .
Super opportunity to purchase this large, family home and business situated on an extremely . . . Stunning conversion of an old stone barn into a family home situated at the edge of a small . 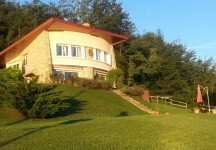 . .
18 bedroom house 350 m² at the foot of the Pic de Montcalm in the Parc Naturel Regional of the Pyrénées ariégeoises. This house has a lot of possibilities for transformation into a nice family or business . . . This property is located at the border of Pyrénées Ariégeoises Regional Park. Hiking, skiing . 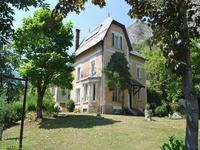 . .
Large authentic country house in an exceptional area with independent apartment, swimming . . . Step back in history and follow the footsteps Baron Henri de Rothschild once took. Built in . . . 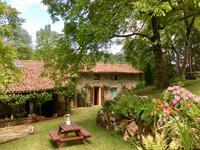 Situated in a beautiful, tranquil location, on the Aude/Ariège border, this gorgeous . . . This versatile, character property offers so much potential, either as a large family home, . . .
A beautifully renovated, south facing 6 bedroom, 5 bathroom period property in immaculate . . . This house has been fully renovated with 6 bedrooms, offering spacious rooms, a huge family . . . In this very sought after location, impressive character property with beautiful period . . . This lovely home has been completely renovated with excellent taste both inside and out . . . This wonderful property was once part of the castle next door and home to labourers who . . .
A beautifully renovated, south facing 6 bedroom period property with pool and large garden. . . .